It has been a good couple of weeks crafting. I have even been able to do a little digital scrapping. 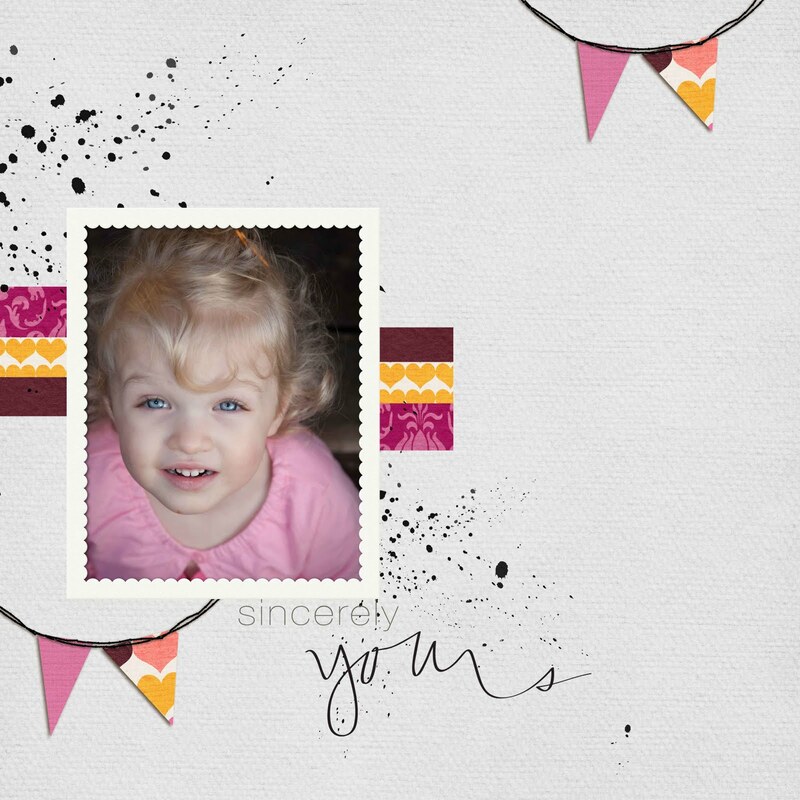 I did this layout using Paislee Press... Liz is one of my favorite digi designers. Her style is so universal, modern, and FUN! This is my niece's daughter whom I love to scrap so much since I don't have a little girl. (Pink is one of my favorite colors to use right now with the seasons changing.) I made sure Sarah got some photos of her in this little pink outfit while she was visiting for Ethan's birthday last month. Isn't she a doll - although I spent fifteen minutes in Photoshop taking all the cake off her face. LOL! This week it was announced that I will be Craft Warehouse's Design Team Leader for this year! I am so excited for this opportunity and can't wait to get started in May! The Design Team call is still going on until next week. To enter go here. I am looking forward to meeting the new team! so glad to hear you are going to be this year's Craft Warehouse's Design Team Leader! Congrats!